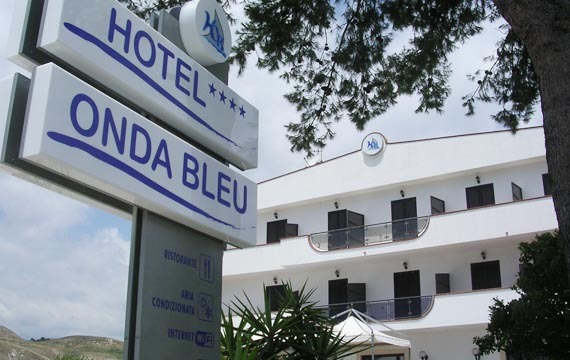 For those looking for the right accommodation among the 3 star hotels between Catanzaro and Crotone, the Hotel Onda Bleu is an ideal choice. For business and pleasure you can discover uncontaminated places and the sea and the mountains of Calabria. The 32 rooms are from 20-30 square meters and equipped with air condition, soundproofed, with balconies, a safety box, a TV and cable / satellite. The private bathrooms in each room include a hairdryer and a shower. To stay updated on our initiatives and the numerous offers subscribe to our newsletter. Please enter your email. Enjoy a comfortable hotel in Botricello, near Le Castella, Riserva marina di Capo Rizzuto and the Valli Cupe Nature Reserve.